Editor’s note: Geneive Abdo is a fellow in the Middle East Program at the Stimson Center and a non-resident fellow at the Brookings Institution and author of the recent paper The New Sectarianism. As Iran’s election draws near, powerful figures within the ruling establishment seem more worried about the future of the incumbent than they are about the potential for violent protests. President Mahmoud Ahmadinejad is prevented from running for a third term. But this does not appear to have diminished his ambitions to remain a political force after leaving office, a goal he hopes to achieve by hurting his political opponents and pushing his top aide, Esfandiar Rahim Mashaei, as the best candidate in next month’s poll. Ahmadinejad has for his part been positioning Mashaei as a presidential candidate for years. The two are not only like minded in their nationalism and shared disdain for the clerical establishment, but they are also relatives – Ahmadinejad’s son is married to Mashaei’s daughter. Yet despite the Council being seen as unlikely to approve Mashaei’s candidacy, opponents worry that he will somehow still find a way to become a serious contender. And his campaign, although not officially announced, looks in practical terms to be under way already anyway. This will worry Iran’s leadership – and with good cause. 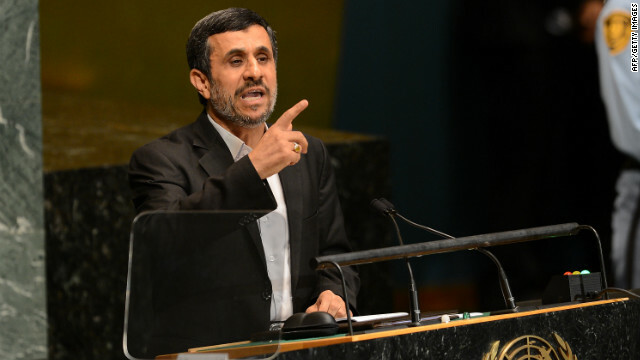 Ahmadinejad has on more than one occasion indicated his willingness to publicize confidential documents that expose his opponents’ past indiscretions. And he is no doubt aware that most presidents under the Islamic Republic have been cast aside and politically marginalized after they have left the presidency, leaving them with no access to the state-controlled media. Ultimately, Ahmadinejad appears keen not to let the same fate befall him that has his predecessors. Former reformist President Mohammad Khatami and his allies, for example, were deprived of continued national prominence due to Khatami’s calls for political reform and his criticism of the system. When he complained about violence and repression after the protests that followed the disputed 2009 presidential election, he was marginalized even further. Former President Hashemi Rafsanjani was for his part ousted from influential assemblies, while Mir Hossein Mousavi and Mehdi Karroubi, former regime members and 2009 presidential election candidates, are still under house arrest. Helping Mashaei become president might therefore be the only way Ahmadinejad can ensure his own survival – politically or otherwise. Yet it’s hard to gauge the potential success of his all-or-nothing strategy, an approach epitomized in his showdown on the floor of the parliament in February during a confrontation with Ali Larijani, the speaker of the parliament. During the incident – unprecedented even in Iran’s sometimes rough and tumble politics – Ahmadinejad played a tape of what he claimed was a recording of a conversation between Tehran’s chief prosecutor, Saeed Mortazavi, and Fazel Larijani, the speaker’s brother. According to the tape, the Larijani family had used its prominence for economic gain (a claim disputed by Larijani, who described the tape as blackmail). More recently, during a trip to Semnan Province last month, Ahmadinejad turned on Supreme Leader Khamenei and the ruling establishment. “Some say that the leader’s opinion dictates that this person should run and that person should not [campaign]. How is this any of your business? The people should decide. All [political] types should run,” Ahmadinejad reportedly announced in apparent reference to Mashaei. Right now, despite his maneuvering, the odds seem stacked against Ahmadinejad remaining a political force post-election. But whatever his chances, no one seems likely to convince the president to go quietly into the political wilderness.